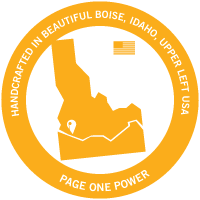 Editor's Note: Today we have a timely piece from guest author, and SEO Specialist here at Page One Power, Laura Greene. 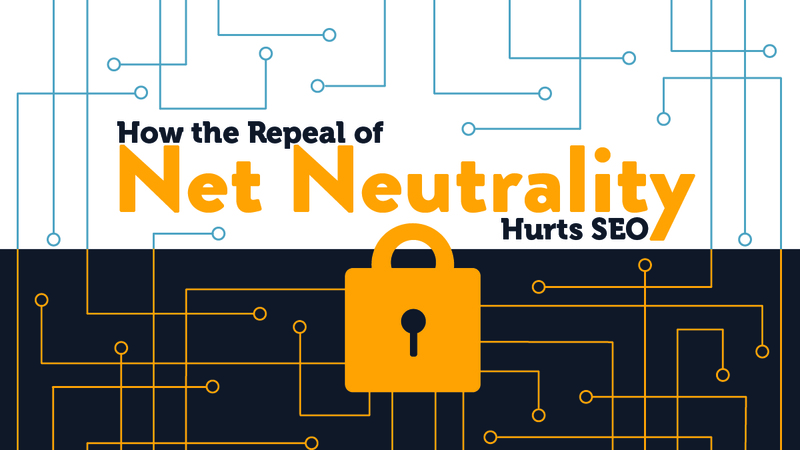 Laura will be discussing the potential impact of the repeal of net neutrality rules on SEO. The views expressed here are the author's and do not necessarily reflect the views of Page One Power. Take it away Laura! I’ll admit that it took me far too long to consider my job when I first heard about the impending repeal of net neutrality. My first thought was as a consumer: “What is this going to cost me? Are they going to censor news sites?” But as the gears turned in my brain, it suddenly dawned on me that this was going to have a serious effect on the digital marketing industry — especially SEO. 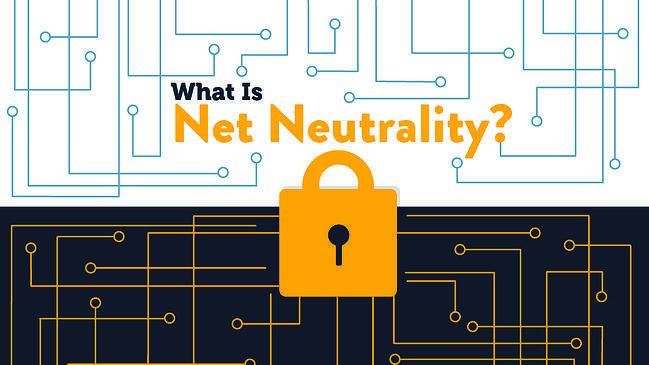 On December 14, 2017, the Federal Communications Commission voted to repeal the rules protecting net neutrality. Numerous writers and news outlets reported what this might mean for consumers and small business owners, but few really delved into what it meant for those of us who work in SEO. The fact is that this repeal could have a devastating impact on digital marketing. I’m going to assume that most of you know what net neutrality is, but let’s go over it real quick for the people in the back. Net neutrality is the principle that internet service providers (ISPs) must treat all websites and traffic on the internet equally. In essence, it prohibits them from speeding up, slowing down, or restricting/blocking access to web content. Like electricity or “ye olde” telephone service, the net neutrality guidelines were created to regulate the internet as a common carrier. This classification meant that the internet was seen as an essential service, and it was every American’s right to have fair access. Since their induction, these rules have not only kept the internet free and open, they’ve allowed all companies and websites to compete on an even playing field. What Power Do ISPs Have Now That Net Neutrality Is Gone? 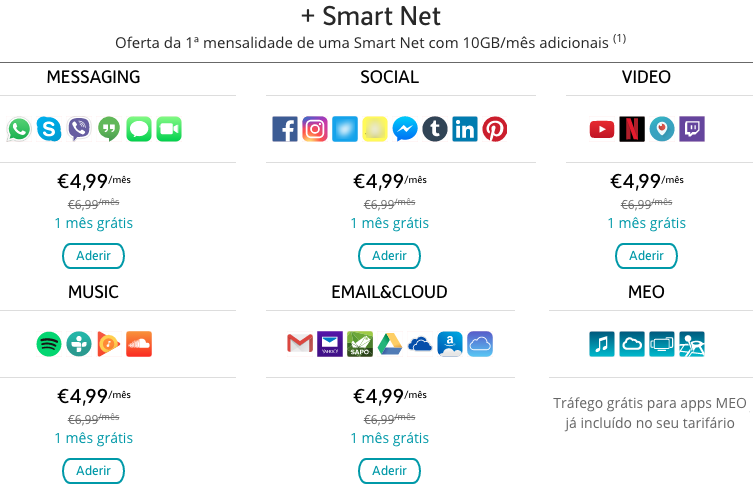 Now that net neutrality is no longer in place, broadband providers have free range to take a number of different actions that were formerly prohibited. First, they’ll be able to charge consumers and companies varying rates, even going so far as to break the internet into packages, much like cable service. Don’t believe me? Check out what’s already happening in countries like New Zealand and Portugal. Second, ISPs can choose to slow down (or flat out block) websites and applications they view as competitors. Alternately, they can throttle the loading speeds of websites that don’t pay for access to their “fast lane.” There’s also the possibility they may forge partnerships with corporations to decrease their competitor’s rankings — regardless of the quality or relevance of their content. Basically, the internet will belong to the rich — those who benefit most from the repeal of net neutrality. The giant corporations will gladly fork over money to the ISPs to ensure their content is seen first, and the little guys will be left to flounder. Small businesses and startups that once relied on the open internet to launch their companies will fail to get off the ground. To put it plainly — and a bit alarmingly — the absence of net neutrality leaves companies like Comcast, AT&T, and Verizon able to decide which websites, content, and applications succeed and which fail. It would be as if your phone company determined who you were allowed to call (and what you were permitted to say). That, my friends, is censorship. 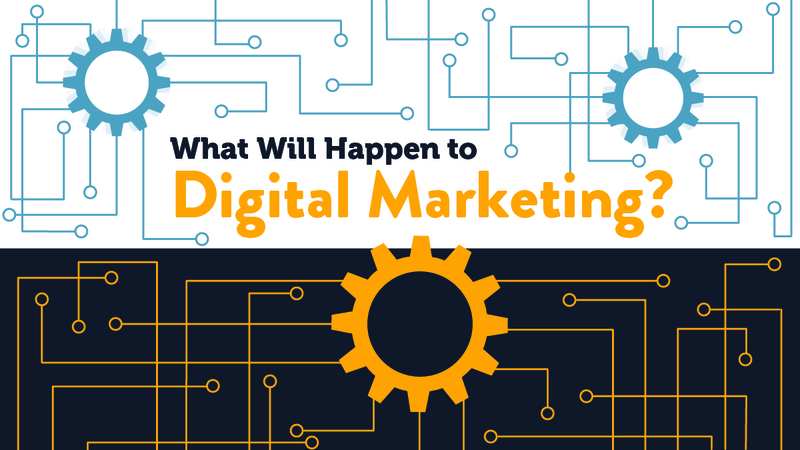 What Will Happen to Digital Marketing? With its even playing field, net neutrality encouraged competition among all businesses using the internet. Furthermore, it generated a high demand for digital marketing services such as content creation and SEO. However, with the regulations gone, it’s safe to say that no matter what particular form of digital marketing you offer, you will be affected. Worst-case scenario (and let’s try not to freak out too much, here) every facet of digital marketing could be rendered useless in a heartbeat. In the SEO world, Google is God. If an ISP decided to strike a deal with Yahoo or Bing and block Google, it would have a staggering effect on visibility for those who optimized specifically for Google — which, you know, is pretty much all of us. Giant corporations will have the money to pay for fast lanes and stay ranked in the top of search. Small brands will be displaced, remaining on the second and third page of search results, regardless of SEO efforts. Despite following best practices for landing page optimization, low loading speeds will skew analytics toward a higher bounce rate. No matter how awesome our content is, it won’t mean anything if people can’t get to the site to read it. If packages/tiers are introduced, visitors unable to access sites may lead to an increase in wasted ad clicks. A/B testing will go out the window — we can’t rely on data when we’re only seeing it as it appeals to the audience who has paid for access to our sites. With fewer people able to get where they want to go on the internet, marketers will have less data to analyze. This will make it far harder for us to optimize sites and deliver results to clients. Simply put, an unregulated internet market will cripple any SEO efforts we’ve made in the past and may leave us jobless in the future. Ranking will be determined by who has the most capital, not who has optimized their site best. Confronted with the knowledge that some customers could be restricted from using their website, business owners may end up handing over most of their money to ISPs to ensure their site is accessible to their audience — leaving little extra for a marketing budget. Like your clients, your own website could be slowed down. With competitors accessing the “fast lanes” and gaining an advantage, you too may be forced to pay to play. This means the cost of your services would go up, and with small business owners already hurting for capital, they may decide the cost of marketing isn’t worth it. Now, despite the tone of this article, we haven’t reached doomsday quite yet. There is an effort by numerous groups to reinstate net neutrality, and it will be quite a while before these measures make it through congress and the courts. Furthermore, there’s a chance (albeit a slim one) that the ISPs won’t turn out to be as evil as I predict here. However, since it’s the internet service providers that gain the most from killing net neutrality — and since they’ve been the ones lobbying for deregulation — I’m not going to hold my breath. The open internet has allowed entrepreneurs to thrive, giving us such giants as Facebook, YouTube, Amazon, and Netflix. It’s not hyperbolic to say that the repeal will have a negative impact on innovation and entrepreneurship. It will be extremely difficult to get small businesses out of the gate. Moreover, the destruction of businesses and industries that have relied on net neutrality to even the playing field could have a devastating effect on the U.S. economy. Much like subprime mortgage crisis that led to the Great Recession, a lack of regulation and a bunch of corporate fat cats only looking to line their pockets could especially end up hurting the everyday American. While we wait to hear the final verdict on the repeal of net neutrality, try not to lose hope. Even if the Congressional Review Act doesn’t make it through the House and Senate, even if it’s vetoed by the president, there’s always a chance that in two years, a new administration will have the White House and choose to resinstate net neutrality rules. Until then, you can still make your voice heard by calling your representatives and urging your state legislature to introduce a bill to to enforce net neutrality. 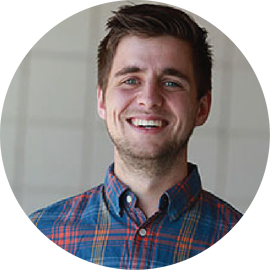 SEO isn’t dead yet — not by a long shot — but it’s our job to keep it breathing. Laura Greene is a marketing obsessive, makeup loving, anxiety-ridden realist from the beautiful city of trees, Boise, Idaho. 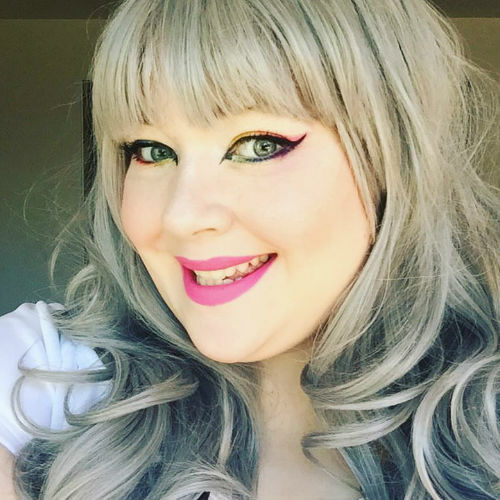 When she's not discussing the merits of the latest Game of Thrones fan theories, she can be found writing about her latest cosmetic misadventures on her blog, Three Broke Bunnies.